We have released our application for the partial MSI scholarships for the summer of 2019. To learn more, click here! We are pleased to announce our 2018 MSI Fellowship Cohort! To learn more about their projects throughout the summer, follow us on facebook and instagram. Updates will be posted weekly on these mediums. 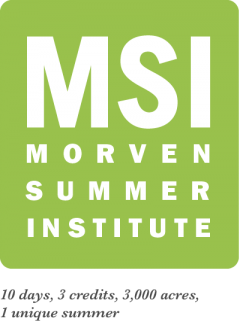 We are excited to announce a new opportunity for students of the Morven Summer Institute. The MSI Fellowship is an 8+ week long sustainability internship and education program that will take place during the summer of 2018. UVA students who plan to enroll in one or two MSI courses will be eligible to apply for the fellowship. The fellowship has been created to provide an avenue for students to continue their sustainability journey at Morven Farms upon completion of their MSI course. In addition, we hope to increase financial accessibility to the Morven Summer Institute through this internship which will provide a $1500 stipend. We aim to gather a cohort of 4 students for the fellowship with each student working on a specific independent or collaborative project. Our application process has closed and we have filled the MSI Fellowship positions! Stay tuned for related opportunities in the future!